Standard CAT5 CAT5E RJ45 network cable connector. 8 contacts (8P 8C) for 8 wire connections. 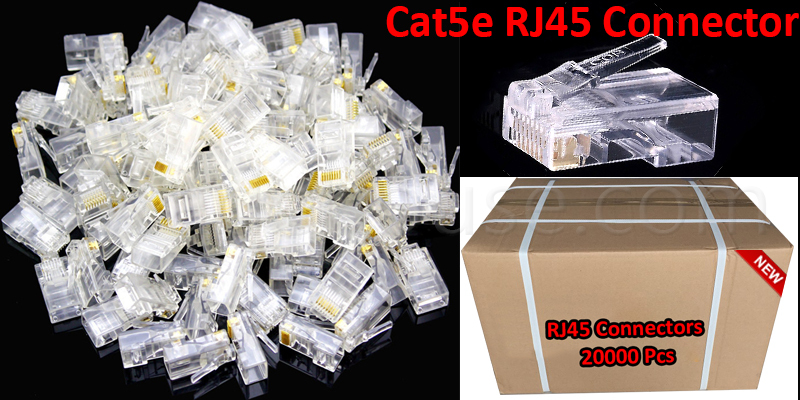 Suitable for CAT5 and CAT5E. Compatible with Standard RJ45 sockets. Made from high quality polycarbonate. Pins Purity of copper wire higher than 99.99%.